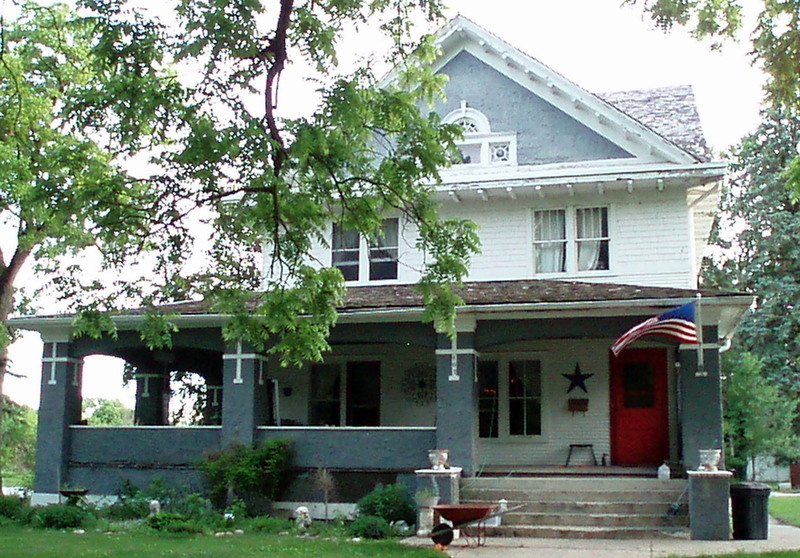 407 Pine Street, Rolfe, Iowa. Photo courtesy of Ruth Agle. The No. 146 from Sears, later renamed the Saratoga. This No. 146 was built in early 1913 in Rolfe, Iowa. 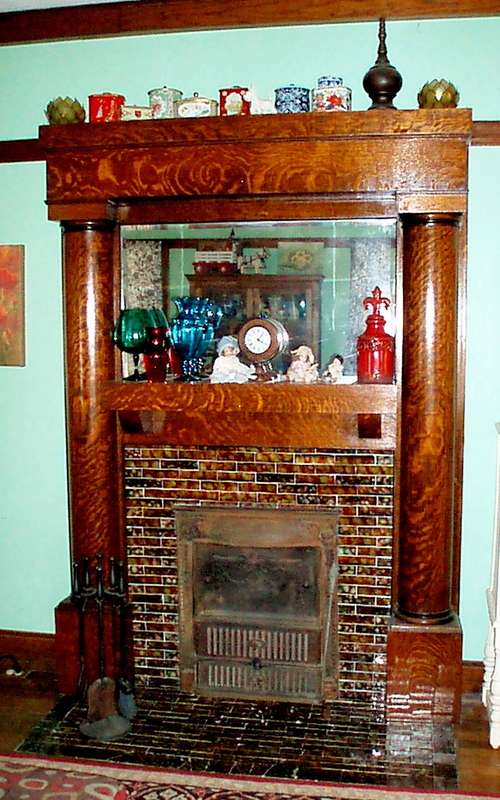 The original fireplace and mantle. Photo courtesy of Ruth Agle. 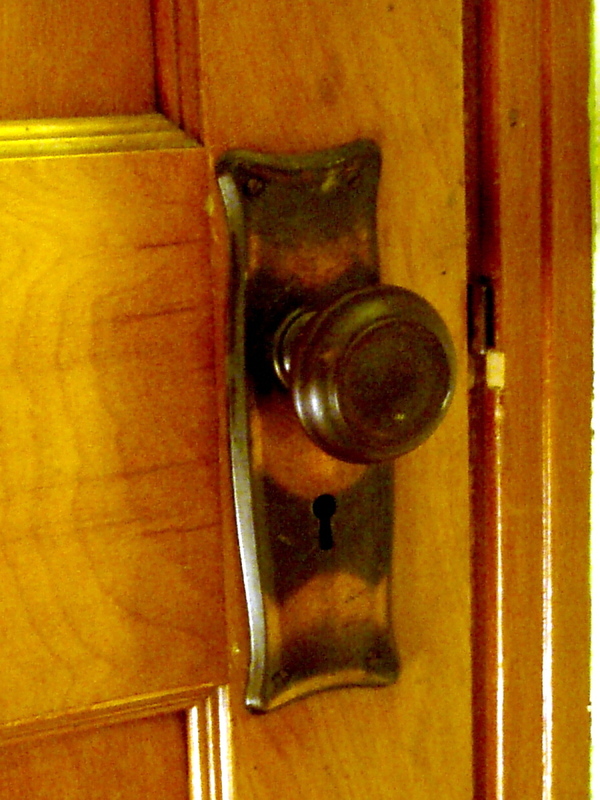 Original bronze Sears door hardware. Photo courtesy of Ruth Agle. The original homeowner was Jerome D. Hollenbeck. Mr. Hollenbeck lived in the house only a year--he moved because his wife died, his daughter planned to attend college, and he couldn't keep up the big house alone. Owner Ruth Agle purchased this No.146 in 2006. When she discovered it, the house had been vacant for many years. "It was a 1913 Sears house with all of the original woodwork and it still even had its wavy glass windows and wood siding, " writes Ruth on her website. "Nobody wanted it because it needed repairs." Ruth fell in love with the house after seeing on a real estate website. She bought the house, packed up her things, and moved to Iowa. Ruth loved her Sears house so much she decided to feature it in her new children's book: Hazel Twigg & the Hollyhock Hideaway. The No. 146 is the Hollyhock Hideaway in the story. The cover illustration with the No. 146 in the background. Scan courtesy of Ruth Agle and illustration by Nina Khalova. Hazel Twigg & the Hollyhock Hideaway is the first in a series of seven books written by Ruth and illustrated by Nina Khalova. But the evil Realtor that sold them the house is now just as eager to get them out of it by any means possible. And Hazel's mother--who never let her out of her sight except to go to school--is nowhere to be seen. Scan courtesy of Ruth Agle and illustration by Nina Khalova. "I do not mention in the book that my house is a Sears home, but every other facet of the house is in full display," wrote Ruth in an email. "For example, the fact that the windows in the attic are called 'Priscilla' windows is frequently mentioned. [The Sears catalog says that "ornamental Priscilla windows are specified for the attic"--Ed.] To Hazel, they resemble spiderwebs and she imagines that the spider who wove them must be a huge, evil creature named Priscilla." 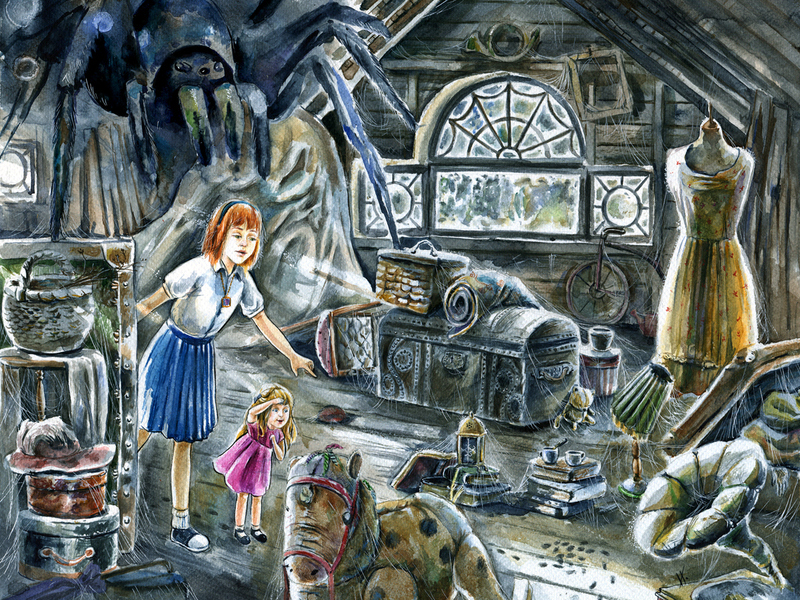 "Also in the book, the house is much older than my house actually is for story reasons. My home was built in 1913." Hazel Twigg & the Hollyhock Hideaway is being released chapter-by-chapter online at hazeltwigg.com. A hardcover version of the book should be available soon. 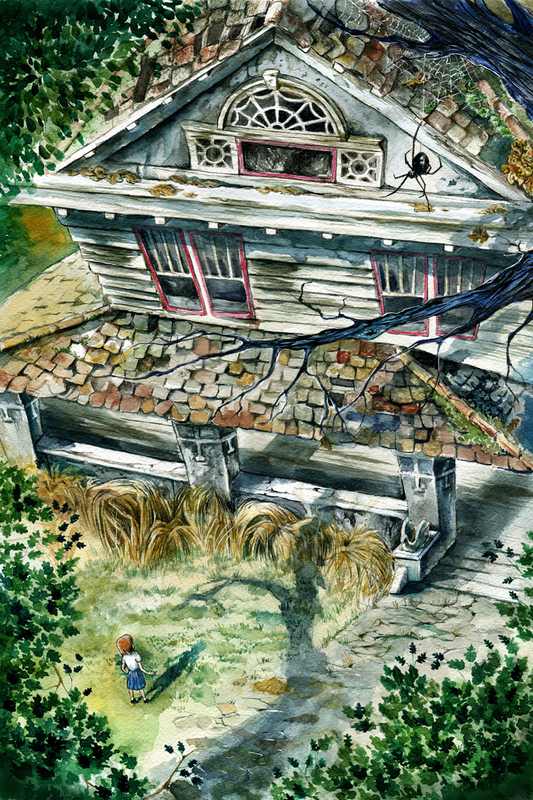 Since Hazel Twigg & the Hollyhock Hideaway has been released, Ruth's Sears house is getting attention from readers. One person from Ruth's town posted this awesome photo on Facebook. It shows Ruth's house under construction. Charles C. Seifert was a carpenter in Rolfe, Iowa. 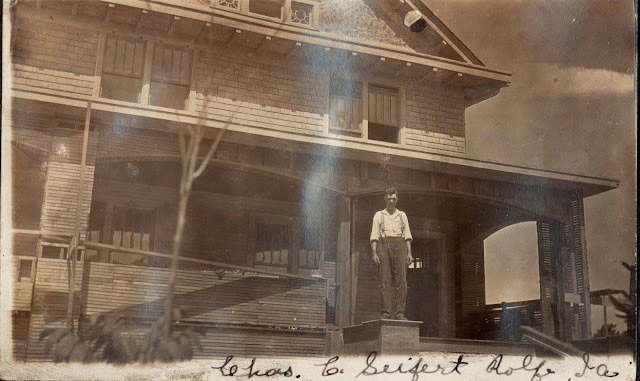 He built the house for Jerome Hollenbeck. The house is unfinished--the Stonekote cement plaster has not yet been applied to the porch columns. Photo courtesy of Ruth Agle. 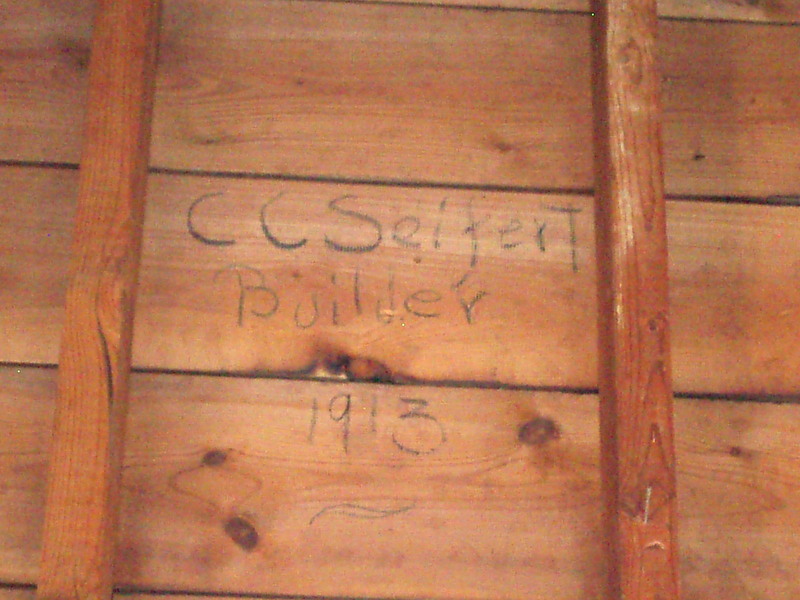 Ruth recognized the name of Charles C. Seifert--she had seen it before in the attic of her house just over the Priscilla windows. Photo courtesy of Ruth Agle. Part 2 of the Sears Homes Featured in Children's Books. Wow! So interesting! This is a model that I would love to see in person. It looks like a style that we would have here in the St. Louis area somewhere. I'd like to see one too! There was a catalog testimonial for one in Chicago but who knows where that could be. Anytime you happen to be in Rolfe, Iowa drop on by! Ruth, you know I will--with my camera! Lara, I photographed two in my area. The one in Niagara Falls which I believe you added to the list (it is absolutely GORGEOUS!) and the one in Lancaster, NY that's mentioned in the 1918 (?) 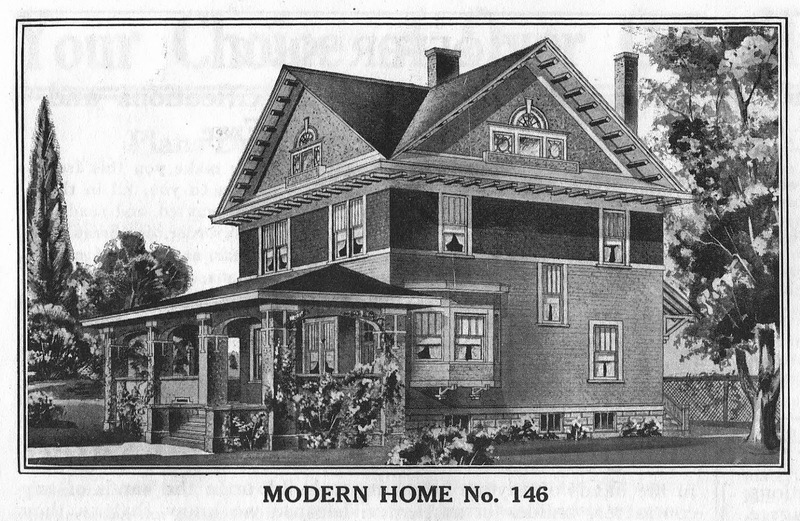 catalog and Houses By Mail. It's made of Sears concrete blocks with Sears concrete columns. Lara, I can send you photos of the two if you want. The one in Lancaster is really nifty and I got to go inside since it's a hair salon. Thanks, Sarah! If you need my email, there's a link on the upper right of this page.